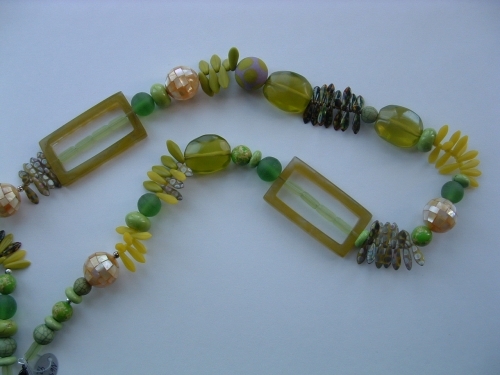 Green Quartz and a Mabe freshwater pearl……. 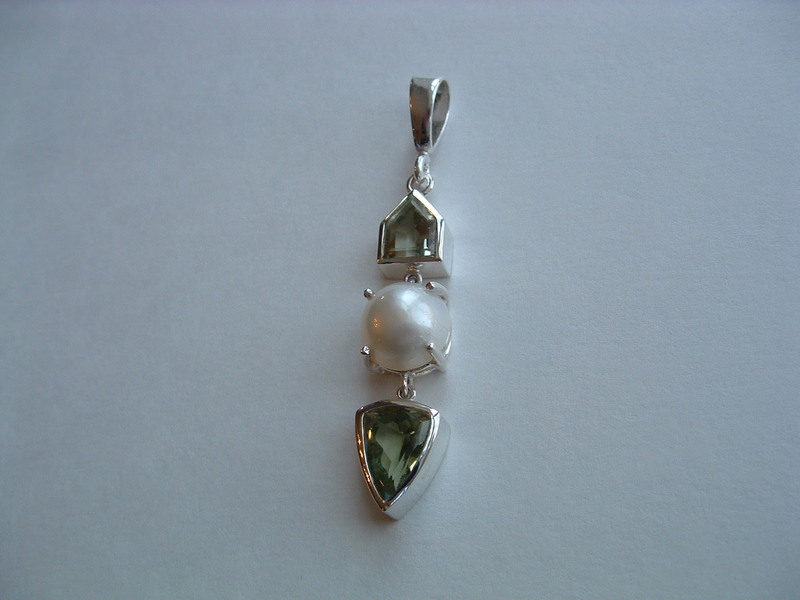 Another pendant that consists of 2 gem quality green quartz with a total of 6.65 carats- each having an unusual cut. They are centred with a white freshwater mabe pearl. All are beautifully set in sterling silver. Magic!! 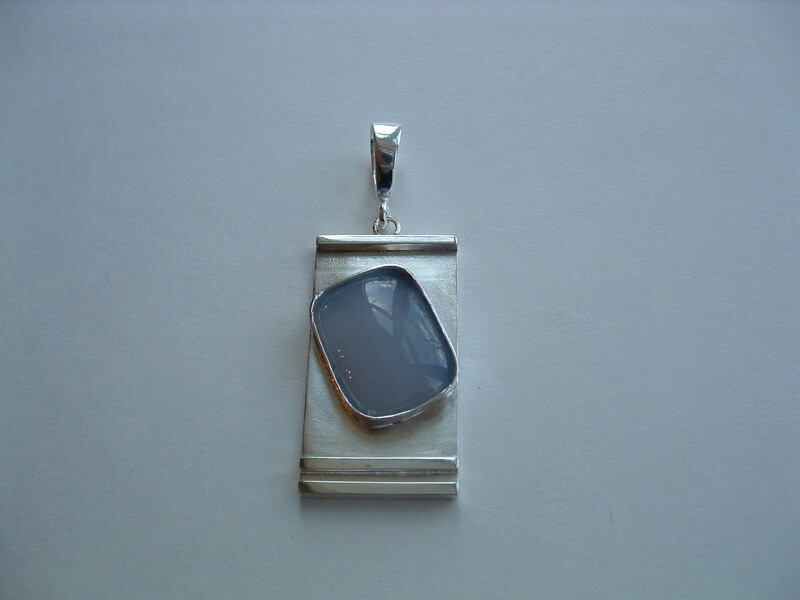 This is a large blue chalcedony set in sterling silver. When Amethyst and Citrine occur together in nature, the resulting stone is called Ametrine. It exhibits the purples of amethyst and the yellow-gold of citrine in various degrees. 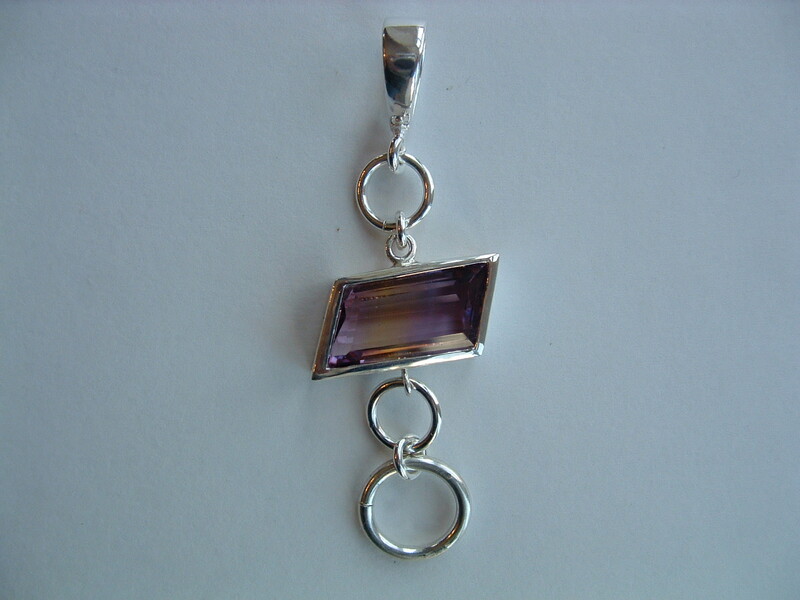 This pendant is set with an unusually cut ametrine of 9 carats. 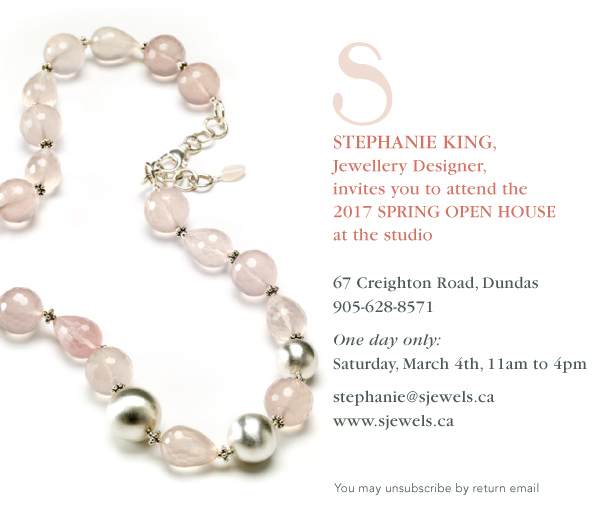 See it this Saturday at my studio sale. 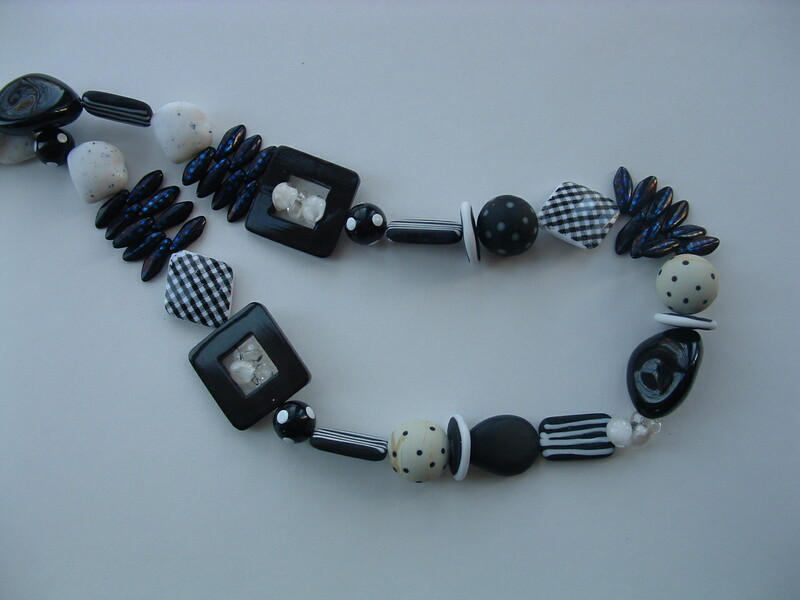 Starts at 11 a.m.
Two necklaces that consist of resin, acrylics, and glass. Both under a $100. They will brighten your day. If you love pearls ………. This is a very large baroque pearl – probably 12 mm. 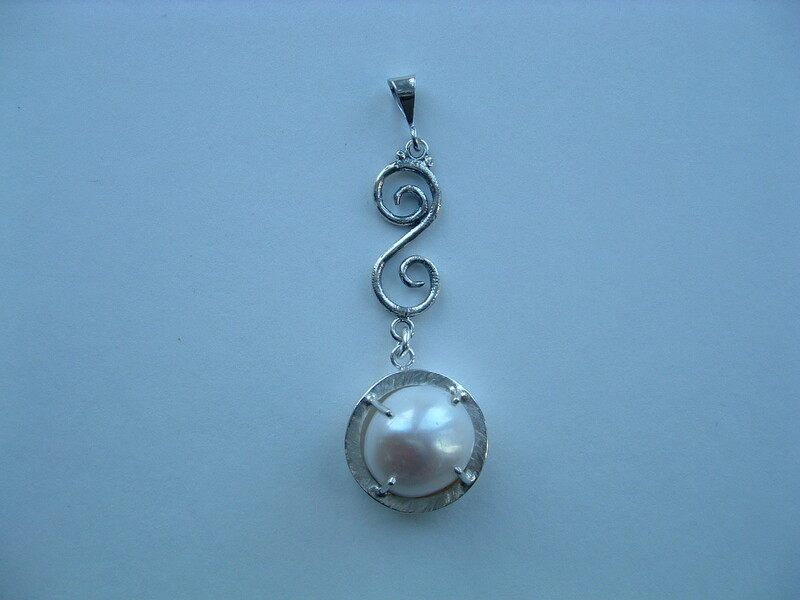 Set in a thick sterling silver ring that is textured around the pearl. The rest of the ring is highly polished. Spring 2017 Open House and Sale – Saturday, March 4th, from 11 a.m. to 4 p.m.